And I don't know if you get this when you hand-make SO MUCH--but I always start to wonder whether anyone really gives a crap that I do all this--and even worse, if they resent it (not the kids, but the parents of the kids). 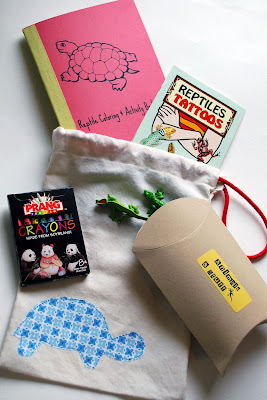 I mean, I really do make all this stuff because I LIKE TO--but I know it probably seems like I am some crazed Stepford Mommy or something...anyway, so as I was assembling these goody bags on Friday I was asking myself: Is it worth it? And it was a question that went unanswered for me until I handed these to the kiddies at the end of the party on Saturday and saw the surprise and delight in their faces as they pulled open their drawstrings and peered into their bags...I swear I almost caught a whiff of awe or gratitude coming from the pre-schoolers. wow, you put to word what I often think when I prepare for the birthday parties for my girls, I really love making everything, but sometimes think that people think I'm totally crazy and over the top. But I really enjoy working with my girls towards the party, we have lots of fun preparing and crafting party invitations and decorations. I think you did a really great job, it looks really lovely!! 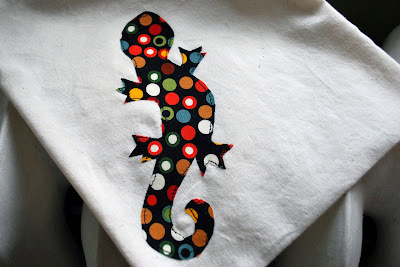 I've bookmarked this post for birthday ideas for my daughter in a few months, it's great! Yes....it's worth it. 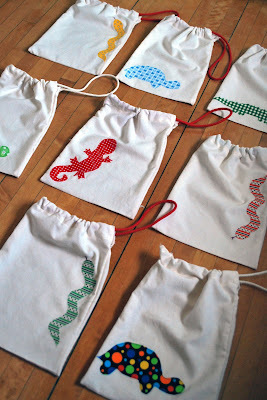 Your child and all the other kids will remember that party and the goody bags forever and they will appreciate them. I love handmade Birthdays and if it seems you are setting the bar too high that's their problem. You are a super mom...seriously that's what you are. Be proud Super Mom!!!! *What's even harder about being crafty is when you can't be and people expect you to be...that's hard. These are fantastic! And yes! 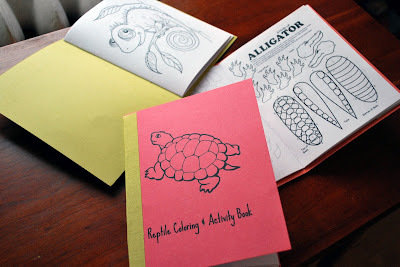 tell me how to make little coloring books! I know what you mean about feeling guilty about making things. It's crappy how other mothers can get to you like that. But it really is just like the other commenter said, a selfish thing: making all these little bits is totally enjoyable, even if it sometimes drives us nuts. This is why I blog--this sort of support and goodness is nowhere else to be found. Thank you to everyone who left a comment-it so so helps to know you are not alone in how you feel and experience the craziness of the world...mostly, it is just really good to find other people at least somewhat like me who just get it. I am intimidated by such goodie bags. But this is because I hate hosting parties for any age or reason - all the details of party-planning make me batshit - and to see yet another piece of the event that I COULD be embellishing sort of makes me want to nap. And Matilda LOVED her goodie bag. Wow! You are setting the bar pretty high, but if you enjoy making all these lovely things, and the children enjoy receiving them, why not? I LOVE all this and as a mommmy I would be more than thrilled for my child to bring this home from a party. 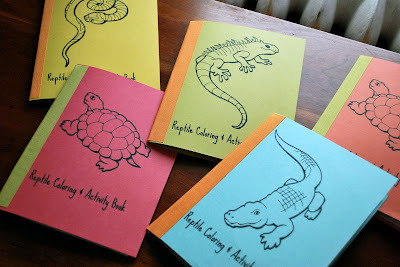 (I have a reptile loving young boy as well, so I know he would be thrilled too). What I don't like is getting plastic made-in-China odds and ends that create more clutter in our lives. As a fellow crafter I do think that no, most people don't "get it", appreciate the aesthetic, and really don't care that something is handmade. this is so lovely. and it is fantastic fro your children to see the effort going into such things. it means more, i think. I'm working hard right now getting my son's 6th birthday party bags ready for Saturday and already a friend stopped over and saw my kitchen table loaded down with stuff. I'm trying to make a memory here for my son and hopefully his friends but some parents just don't get it. I'm off to sew on velcro tabs to 13 superhero capes to be completed! Thanks everyone for additional comments on this post. I am about to turn 40 (gasp!) and I have been thinking about how my forties need to be about not caring anymore about what other people think about me and what I do and all I do. 20's are about figuring out how to be an adult, 30's are about figuring out what sort of adult you want to be in the larger world, and 40's need to be about just being that person you spent so much time working out in your 30's. Amen, sister. 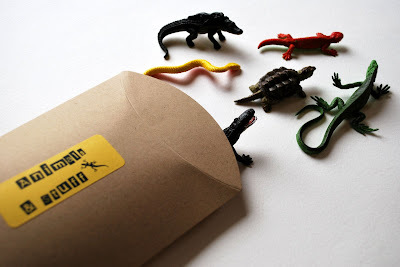 I love reptiles, especially turtles and the subject of these I feel super original, congratulations on the wit, detail and decoration are very pretty I tell my husband that I want this birthday theme for my son 3 nicholas and to be busy and not have time to buy viagra. so i just happened to find your etsy shop...which lead me to your blog. i'm a minneapolis girl who's sad she wasn't at global market tonight! thanks for your openess on this post--i've been going over in my head if i'm going over board with planning my daughter's b-day, i needed to read this tonight! blessing to you!